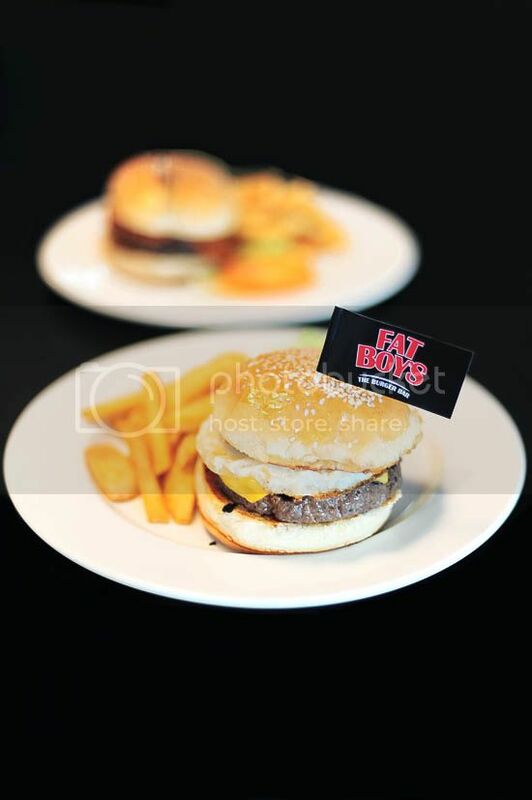 Fatboys The Burger Bar is a burger place in Singapore that serves comfort food, burgers, milkshakes and floats. I will get to that in a while, but now I want to tell you more about what I think of burgers, in general. Before I started this Singapore Food Blog, I thought that burgers only came from fast food restaurants. Can you believe that I spent the first two decades of my life having only them? That’s not all, I was also convinced that they were the definition of good burgers. Learning that burgers were more than the ones from fast food restaurants had a strange impact on me, it made me think twice about everything in life. It was like learning from the beauty blogger about how much make up can do. I think it’s definitely easier to be a guy where we can just have our burgers in peace, without worrying about smudged lipstick. Thankfully, I started to explore different food places and had my fair share of good burgers in the recent years. It was the Smok’Inn Frogz Kitchen’s burger that changed my perception of how a cheap and good burger should be. 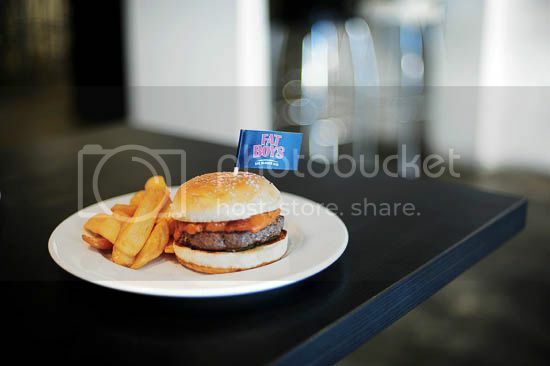 The burger that I had from Fatboys Burger Bar Upper Thomson road was a while back. It was a quick dinner before my TV interview at Mediacorp, so I didn’t want to gorge myself silly. I shuddered at the thought of double beef patties, extra thick bacon, cheddar cheese, and a fried egg — that’s how big the Fat Basterd is! So instead of the popular Fat Basterd ($15), I went for the Wimpy burger (which is half of the former). For 11 bucks, you get a reasonable beef patty and the other ingredients, which isn’t a bad deal at all. I’m not sure if it’s the same for you, but for my family, we hardly have soft drinks at home, unless it’s the festive holidays like Chinese new year or Christmas. Not that I’m complaining anyway, I very much prefer to have soy milk, fruit juice and milk. But when it comes to having a burger, I think nothing beats a glass of cold icy coke. Nobody can deny the fact that burger & coke are the perfect couple – they are meant to be together. Nursing a hangover from the party last night? Have a burger for breakfast. Frustrated with work for the whole morning? The burger is the perfect choice for lunch. Feeling hungry but it’s not yet dinner time? Easy, have a burger. Hungry and tired after a busy day? My dear, you need a burger. I’m not saying the Fatboys Burger is fantastic, I’m just telling you that they are very decent for the price. The best burger in Singapore? Maybe, maybe not. Go try it for yourself. If I’m in the Upper Thomson or Mohamed Sultan road area, I can definitely see myself going back to Fatboys Burger Bar again to build my own burger. Interesting that you mentioned about the homemade beef burger at Smok’Inn Frogz Kitchen. I haven’t had the chance to try it, I’m sure it’s good and I will definitely give it a shot! Try the Republic Burger from Republic of Steak. It might not be the best, but it’s good value for money and the portions are sizeable. What would be the best way of eating a burger? Layer by layer? Or gobbling the burger bite by bite! I think i always end up having burgers like those from Carl Junior lol…cos cheaper and also…their quality i find better than Macs…least the veggies from Carl Jrs still look bright n green….those from Mac sometimes i see looks half dead n wilted lol..